So into this song right now. My work recently has become about the things that I personally think are cool and badass, and I compiled a list of everything thats cool to me, and made this gouache painting on a big ol' 22in x30in sheet of paper! 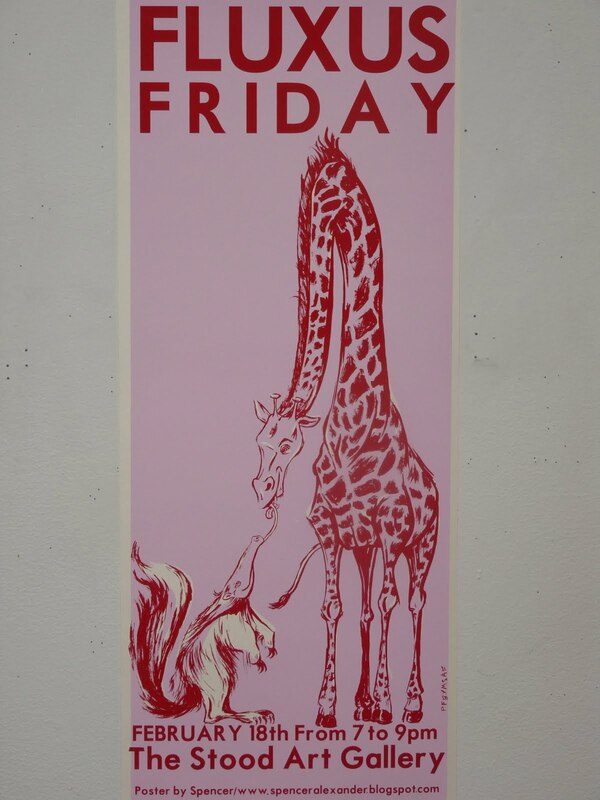 I was commissioned to do a poster for Fluxus Friday, an art event at Purchase. 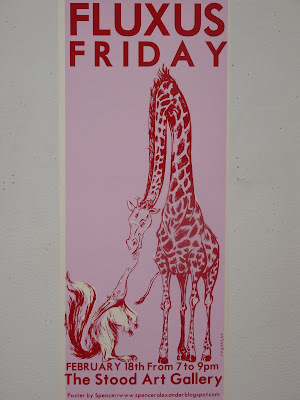 I thought I'd tie it in to Valentine's day with a Giraffe and an Anteater french kissing. 2 color screenprint, edition of 40. Cool. My roomie Al the Viper just showed me this, I've never really watched CSI Miami, but I think I might start.